Dedicated to excellence at all levels, Karen Healey provides advanced training for the serious competitor. People tend to use the terms ‘coach’ and ‘teacher’ interchangeably. Karen views them a little differently. Karen ‘teaches’ students to ride and compete successfully. From equitation to hunters to grand prix, whatever arena they choose to perform in, they are trained to ride each step of the way. When a student is ready to move on to a professional or an international career, Karen helps them to take the next step. That’s where the ‘coach’ aspect comes in. 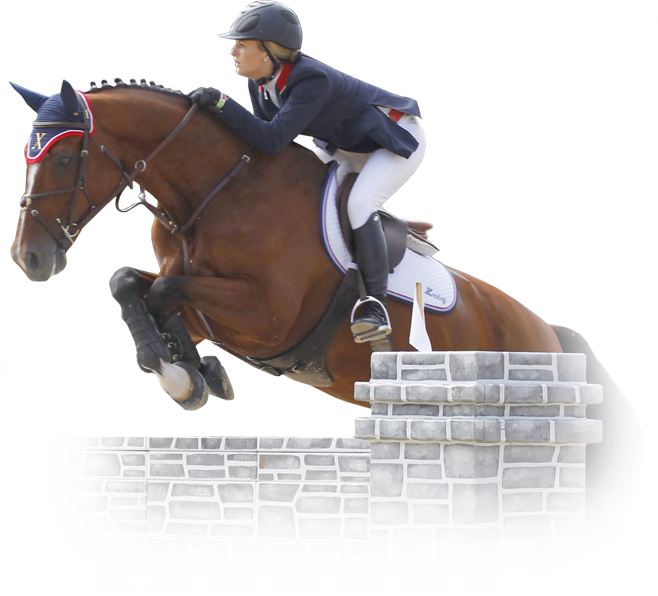 Karen’s methods of teaching the steps to good riding have produced a multitude of top riders, including European champion and three-time FEI World Cup champion Meredith Michaels-Beerbaum. Along with Meredith, many of Karen’s former students have gone on to be top professionals. Karen’s advice to up and coming riders with top-level aspirations? Stick with a program. There are many good trainers – find a trainer and a program that you believe in. Evolving through a program is essential. Even with the greatest talent – you still need to grow through learning the process.